We give priority to the most vulnerable children. We aim to promote acceptable social behaviour. We will adhere to the rules of the Nursery to ensure a safe and secure environment. This applies to Breakfast Club, Lunch Club and 30 hours extended sessions. If you have any queries or problems you are always welcome to discuss these with the Headteacher. Formal complaints should be referred to the Chairman of Governors. Parents can make a complaint to Ofsted if they wish: 08456 014772. At Cippenham Nursery School we believe in valuing and celebrating the diversity within our community. We aim to develop good practice and positive attitudes in the early years, and encourage an anti-discriminatory approach to the world in general and other human beings in particular. We believe that all people should have equal opportunities to learn, develop and grow with dignity in a community of mutual respect. We promote this as a ‘Healthy School’ and encourage the involvement of parents, children, governors and the community. We received our Gold Accreditation in March 2014. We are committed to raising the achievement of the children receiving the Early Years Pupil Premium allowance. Cippenham Nursery School is committed to the highest possible standards of openness, probity and accountability. In line with this commitment, we encourage employees and others with genuine concerns about any person linked with the school and/or others (EG Parent/carers) to come forward and voice those concerns. We are committed to ensuring that all our children are well cared for, safe and protected. 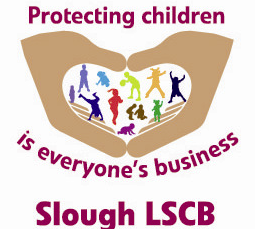 We follow Slough Borough Council’s Child Protection procedures and work closely with other agencies like the Local Safeguarding Children's Board via the MASH (Multi Agency Safeguarding Hub) that support children and families. We are required to be watchful for signs and symptoms of: Physical Abuse, Sexual Abuse, Neglect and Emotional Abuse. Parents should be aware that in urgent/repeated incidents, the school is obliged to discuss/refer these to other agencies. Our Safeguarding Policy should be read in conjunction with the downloadable Government Guidance on Keeping Children Safe in Education (September 2018) and Working Together to Safeguard Children (July 2018).